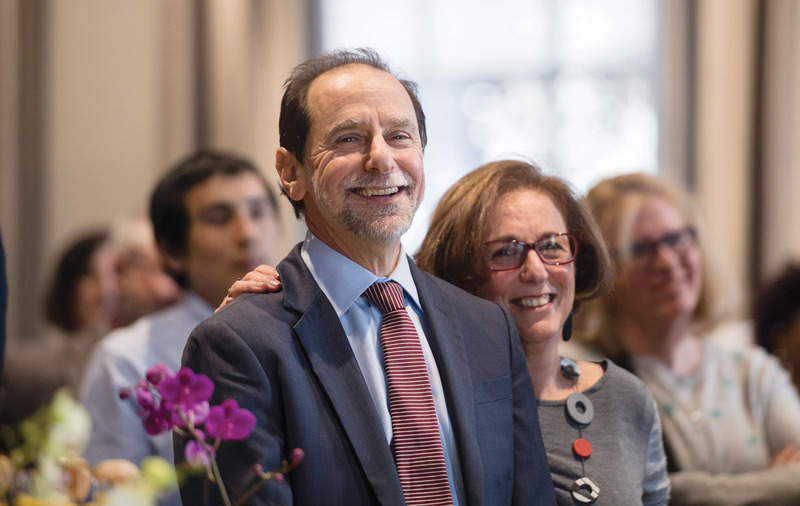 NAME RECOGNITION: Feldman and his wife, Andrea, were the guests of honor last spring during a ceremony (opposite) to name the Feldman Ballroom in the newly renovated Douglass Building in recognition of Feldman’s contributions to student life. (Photo: J. Adam Fenster) More . 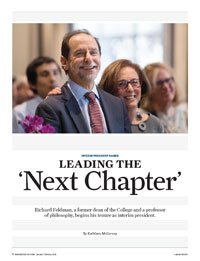 . .
Richard Feldman, a former dean of the College and a professor of philosophy, begins his tenure as interim president. Rochester looks to set higher standards for itself as it moves forward from a sexual harassment investigation. An introductory painting course doubles as a community partnership. Art historian Peter Christensen harnesses technology to find the roots of globalization in the Ottoman Empire’s railway. Student photographers turn lenses on the world for the Education Abroad Photo Contest.